Mondays, Wednesdays and Fridays in April at 6 a.m.
Sunday, April 28th 2:00-3:30 p.m.
Come explore what a yoga practice that is specific to your unique body can feel like. If you have ever been interested in yoga but worried that your body may not be able to do many of the poses, or that you will feel out of place in a yoga class due to the size of your body or fitness level, this is the class for you. Together we will experience different variations of traditional yoga poses...read more. 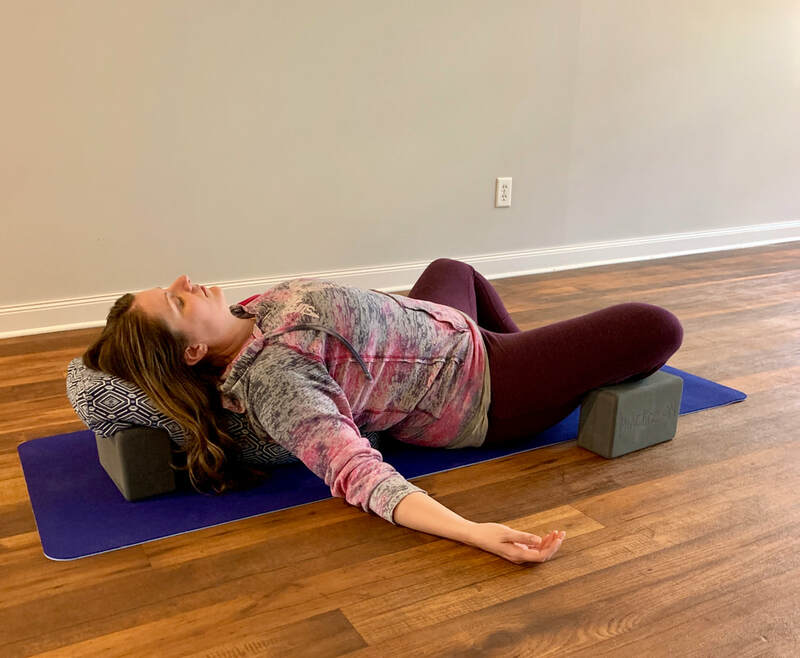 Sunday, May 5th 6:30-8:00 p.m.
Join Melissa for an evening of true Rest & Relaxation with a Restorative Yoga Workshop Experience. Here you will have the chance to unplug from our fast paced world and pause in supine and seated yoga poses that gently stretch your body. Restorative Poses are typically held anywhere from 3-10 minutes each while...read more.